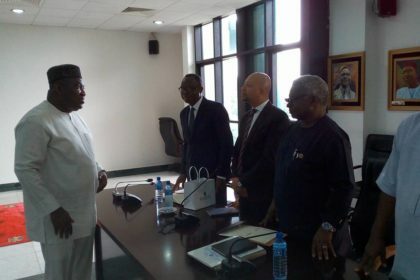 The Enugu State Government has expressed its willingness to establish a viable partnership with a South African firm, Simang Group as its technical partners towards the exploitation of the coal deposits in the state for purposes of power generation. 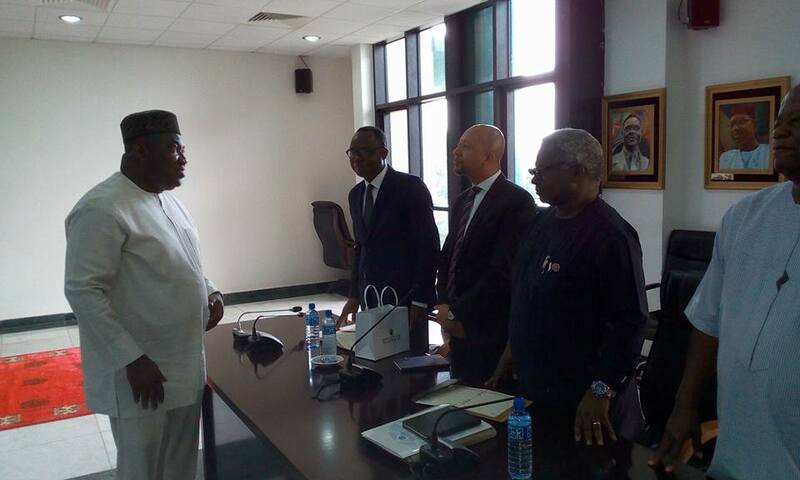 The decision was part of the agreements reached during a meeting between the state government and representatives of the company led by the Executive Vice Chairman, Pan Africa Development Corporate Company Ltd., Dr. Odilim Basil Enwegbara at the Government House, Enugu, with the Director General of Voice of Nigeria (VON), Mr. Osita Okechukwu in attendance. 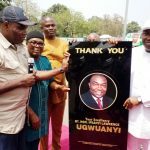 This came as President Muhammadu Buhari through the Director General of VON, Mr. Okechukwu, applauded Governor Ugwuanyi’s supportive roles and cooperation towards the revamping and revitalization of the Coal industry in Enugu State as an alternative means of power generation in the country. 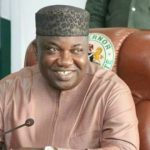 Delivering his address, Governor Ifeanyi Ugwuanyi of Enugu State who was impressed with the outcome of the deliberation, said that the decision was in line with the power sector reforms and initiatives of President Muhammadu Buhari aimed at developing alternative and more viable sources of power generation in the country. Gov. 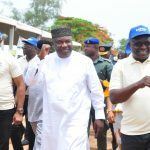 Ugwuanyi added that the action was in response to the consequent calls for discovery and development of new sources of revenue as a result of the negative development in the oil sector, saying that “we have always been hopeful that the Coal fields of Enugu State will once again play a major role in the socio-economic development of the country”. “Enugu is known as the Coal City State, but it was so named in recognition of its past. We believe it is time for Enugu to, once again, become the Coal City State, in truth and in fact. “There is also no gainsaying the huge economic benefits that such a venture will bring to the State. 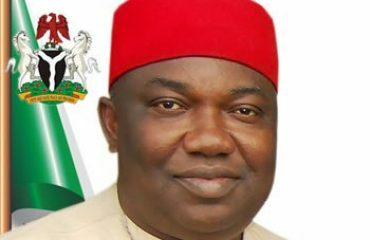 Not only will it boost industrial growth and generate employments for our people but it will also help to enhance the growing profile of Enugu State as the hub of economic activities in the South East region”, Gov. 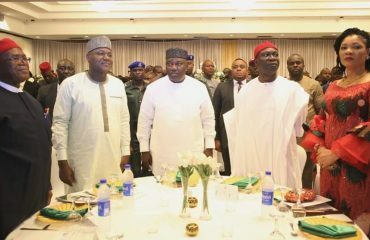 Ugwuanyi explained. 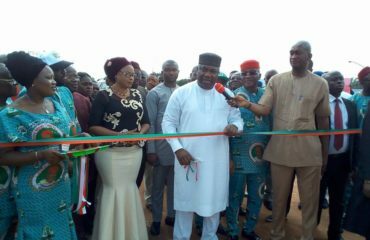 Also speaking, the Director General of VON, Mr. Okechukwu said that the development was in keeping with the promise President Buhari made to Ndi Igbo on January 10, 2015 that he is going to revamp the Coal industry in Enugu State to generate electricity and employment, expressing delight that “it commences today”. “He (Mr. President) delegated his Minister of Mines and Steel Development, Dr. Kayode Fayemi who has reported that he met with you (Governor) on this matter. We on our own side said that Simang Group have been examined with other big contracting firms who wanted the same thing, but from all survey the Federal Government of Nigeria said Simang Group should be given the chance. “And we also know that you (Governor) are very committed to developing Enugu State and South East as a whole, so we encourage you to leverage our partner to make sure that the host communities, other groups do not hinder their efforts. I know you have the capacity to handle this issue. This is what President Muhammadu Buhari is saying, that you have cooperated with him severally. He needs the cooperation in this instance”, the Director General said. 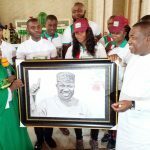 Earlier, the Group Chairman of Simang Group, Stephen Paddy, who expressed their commitment to revamp the Coal industry in the state, promised to cooperate with the government towards the actualization of its vision for the socio-economic growth of the state in particular and the country in general. 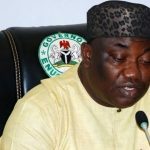 It could be recalled that Governor Ugwuanyi when playing host to the Minister of Mines and Steel Development, Dr. Fayemi, recently, had appealed to the Federal Government to consider revoking all the dormant licences or leases to the mining fields in the state and re-award them to the state government to operate. The governor assured that the state government has the capacity and glut of investors who are eager and well equipped to commence mining operations in the state, disclosing that the state is richly endowed with solid mineral resources such as coal, limestone, sandstone, lead, zinc and gas, regretting that despite these endowments the state has, paradoxically, gained so little from their existence especially after the collapse and eventual winding up of the Nigeria Coal Corporation.